In this new collection of essays, Wendell Berry continues his work as one of America’s most necessary social commentators. With wisdom and clear, ringing prose, he tackles head-on some of the most difficult problems which face us as we near the end of the twentieth century. He then moves on to elucidate connections between sexual brutality and economic brutality, and the role of art and free speech. 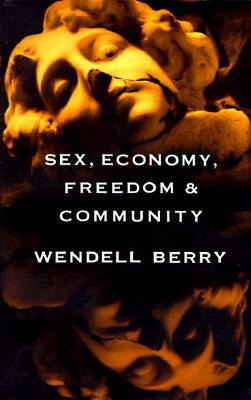 Berry forcefully addresses America’s unabashed pursuit of self-liberation, which he says is “still the strongest force now operating in our society.” As individuals turn away from their community, they conform to a “rootless and placeless monoculture of commercial expectations and products,” buying into the very economic system which is destroying the earth, our communities, and all they represent. Throughout the book Berry asks, What is appropriate? What is worth conserving from our past and preserving in our present? What is it to be human and truly connected to others? What does it mean to be free? WENDELL BERRY is the author of more than two dozen books, including Fidelity, What Are People For? and The Unsettling of America. He lives and writes on his farm in Kentucky and teaches at the University of Kentucky. "Read [him] with pencil in hand, make notes, and hope that somehow our country and the world will soon come to see the truth that is told here."